So you got stuck on the statement 94% Something of which we like to take pictures and cannot go any further? Don’t worry, we have all the answers. These were the answers to “94% Something of which we like to take pictures”. If you are searching for the answers of another statement or image, just visit the homepage 94% answers. This game is so easy. 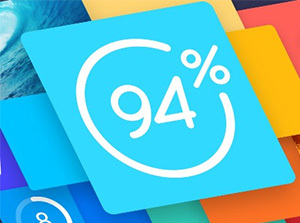 The first thing you have to know is that 94% is a guess game. In every level you will be given 2 statements and 1 image. All you have to do is find words or phrases associated to that statement or image. Usually the first things that come in mind are the right answers. So when I say “94 Something of which we like to take pictures”, what things to you mind instinctively?